(This item is excluded from discount codes) Designed by "Dancing With The Stars" Witney Carson, this necklace represents her every-day style - eclectic, fun, and a little edgy! 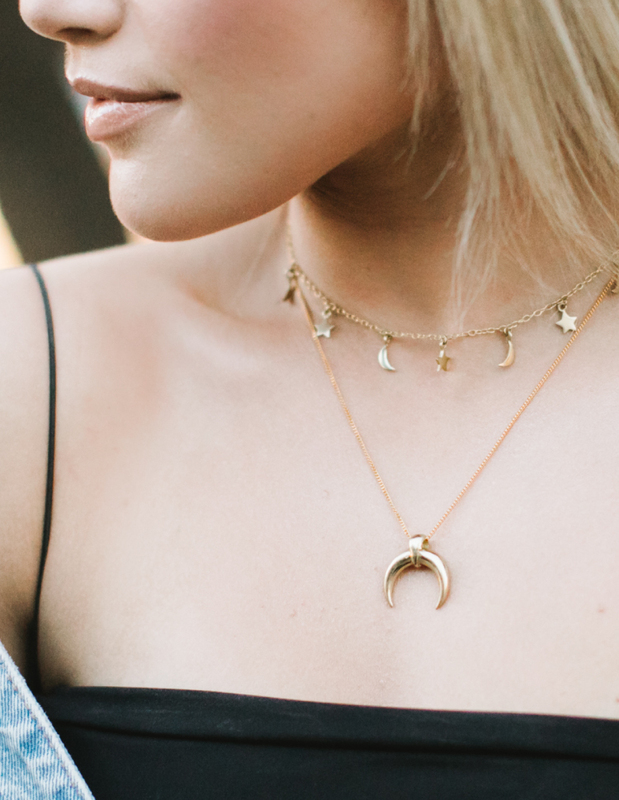 It's versatile and easy to layer - we suggest pairing it with Witney's "Stars and Moons" necklace for a playful vibe! 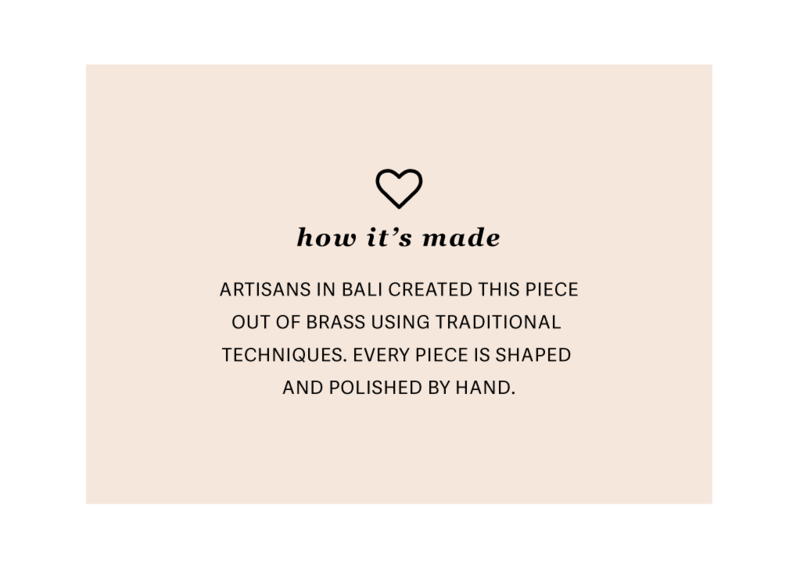 Handmade by artisans in Bali. Features a 14k gold plated chain with a 2.5" extender and adjustable clasp.